It was designed by Mark Ivey, Kris Hom, Brian Murray, Kevin Laughlin, Greg Capuano, and Matt Cruickshank. I was completely charmed by this game, and it’s another instance of video games becoming a common cultural medium, emerging as a mainstream art form out of its rarified audiences, such as gamers or technology geeks. (SeeMinecraft, Video Games, and Objectivist Values). 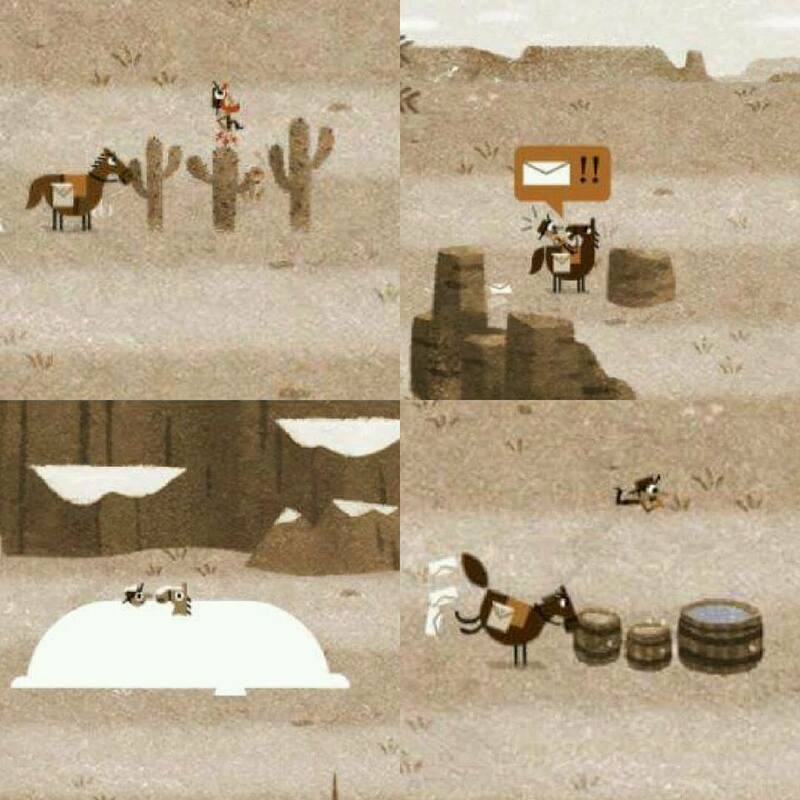 A search of the hashtag #ponyexpress on Facebook, Twitter, and Instagram revealed people all over the internet sharing their high scores and their delight at the game’s illustrations. 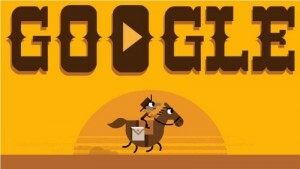 The game begins with a “play” prompt embedded in the Google logo, written out in Wild West font based on the real-life advertisements used by the Pony Express. A stylized, cartoon cowboy rides atop a comically round horse, their silliness heightened by the furious pace of the pony’s tiny animated legs and the determined expression on the cowboy’s face. The game’s soundtrack kicks in, which is a full-throttle clip-clopping gallop effect, three beats up and three beats down, with two extra beats which somehow ratchet up the excitement and heighten the sense of riding a slightly out-of-control horse in a slightly out-of-control commercial venture. The one thing rider and pony always agree on is the importance of the letters, which you collect at top speed as you race through the route. 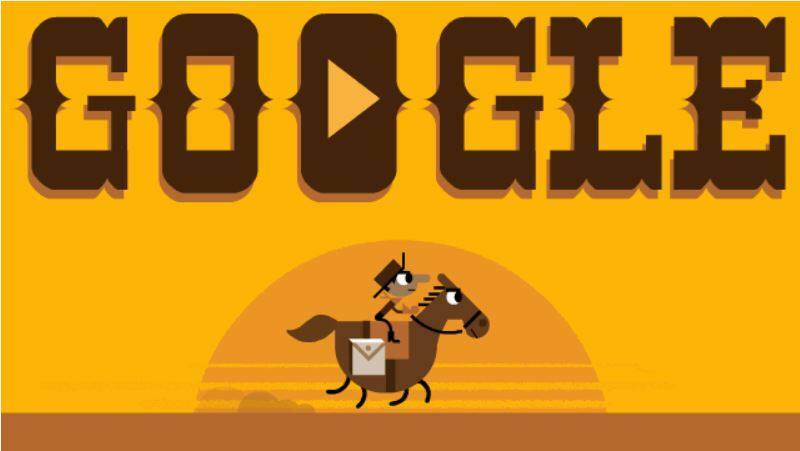 The game entertainingly calls on references which are just at the corners of cultural memory, such as the special mail bag, called a Mochila, developed for the Pony Express to fit over the top of a saddle. 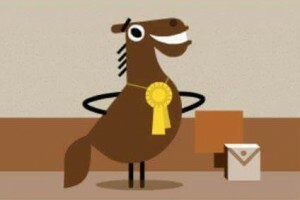 In the game, when your pony skids to a halt at the station, the mail bag flips forward through the air with the rider, both landing in place in a funny way on the next horse. 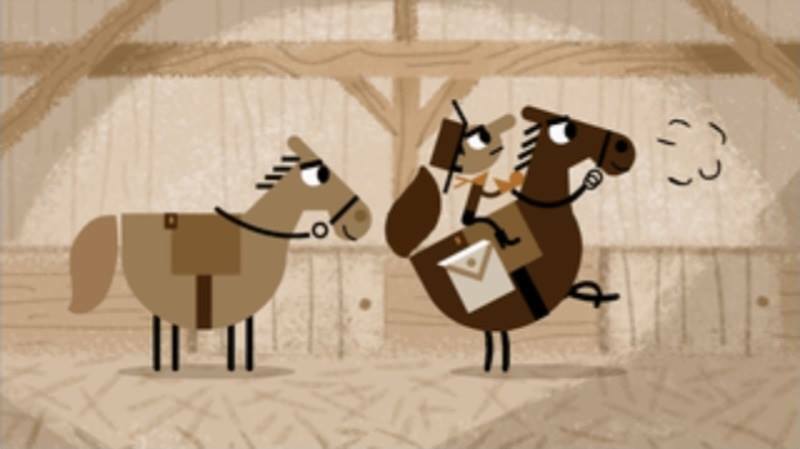 Although the silliness of the illustrations invites us to laugh, we’re also earnestly engaged with the rider’s task of getting the mail to its destination. Whatever the obstacles of his adventure, he is met at the end by a glorious reception line in an old-timey town, people cheering and waving parasols as pony and messenger sprint to the final station. The lightness of the game isn’t at the expense of the Pony Express, but reflects the lightness of hope in an amazing historical moment. We know the “Wild West” was a dangerous and difficult experience, and a complicated period in history, but it also represents a fantastic individualism and freedom. We celebrate the off-screen entrepreneurs of the Pony Express, who saw an opportunity to create value and pursued it. We celebrate the adventurousness of the employees of the Pony Express (this is where Buffalo Bill rose to fame). And we celebrate the small town—an emerging social order receiving new information to be used for the next step toward prosperity. Literature reveals the artist’s value judgments through the use of concepts. The visual arts reveal the artist’s recreation of existence through sight and touch. Music reveals the musician’s choices about audio perception, and provides a direct experience of certain abstract cognitive and emotional processes. Like motion pictures, video games combine the story telling of literature, the visual arts, and sometimes music. They are representational, as art must be. And they bring man’s concepts to the perceptual level of his consciousness, allowing him to grasp them directly, as if they were precepts. Video games are even implicitly Romantic, as they most often present a protagonist deliberately pursuing a goal within a knowable universe. In some ways video games push the boundaries of Ayn Rand’s definition of art, which presupposes that the enjoyment of art is contemplative: the artist is the one who does the selective re-creating, the viewer responds. But the player’s participation in a game is still within the selective power of the game’s creator—I can move the rider and pony within a certain range, but I can’t direct the rider to do something else entirely. The video game is a form of art which can present and explore human will. In the Pony Express game, I can havecontained experiences of rationality, independence, and courage. I respond with emotions of determination, fear, frustration, excitement, and pride—a smaller scale of the same emotions that the owners and riders of the actual Pony Express must have felt in their adventures. Video games let us live in a created world and make our own choices. They let us experience art in a manner similar to how we experience real life. 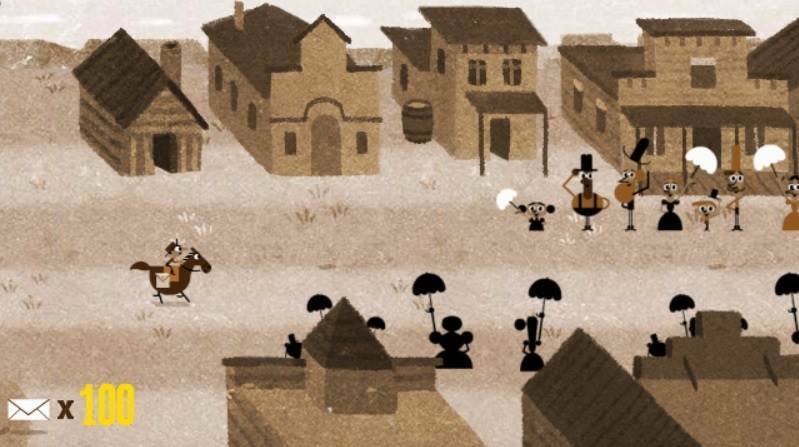 Google’s Pony Express doodle is a fine example of how video games are expanding their power as art, showing us how life could and ought to be.